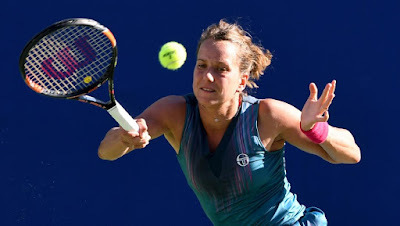 Strycova should prove too consistent for an erratic Goerges and has won their last 4 meetings. I was looking to oppose Vanderweghe as I thought she might suffer a letdown after her run at the US Open but she looked right on it in her last match and should overpower Gavrilova here. Mchale to beat Cirstea @ 8-11 - Again similar to the first match I expect Mchale to be too consistent for Cirstea in this matchup winning both times they have met in straight sets. Radwanska simply is the better player as illustrated by her 3-0 head to head record winning all in straight sets and losing only 14 games in the six sets contested.